Veterans Affairs officials on Tuesday suspended the department's top benefits official and reprimanded three others for their role in an ongoing promotion scandal that has frustrated and enraged lawmakers. Danny Pummill, the acting undersecretary for benefits, faces a proposed 15-day suspension for a "lack of oversight" for his role in the incident last year. That punishment can be appealed, a process that has been fraught with problems for the department in recent months. Officials also recommended a 10 percent pay cut for Philadelphia Regional Office Director Diana Rubens and St. Paul Regional Office Director Kimberly Graves, both for "failure to exercise sound judgement by creating the appearance of impropriety." A fourth official received a letter of reprimand. An inspector general report released in late September charged Rubens and Graves with abusing their authority to reassign other directors to jobs elsewhere within VA, then moving into the vacant positions themselves. Investigators said the moves carried with them relocation payouts totaling more than $400,000 combined. Over congressional objections, VA leaders defended the moves as legitimate, but criticized both women for not taking enough care to ensure their actions were beyond public scrutiny and tried to relocate the directors to other facilities. Merit Systems Protection Board judges denied those moves, calling them too extreme. The pay reductions and official reprimands can be reviewed by VA Secretary Bob McDonald but not appealed to outside agencies. Graves makes nearly $174,000 a year, Rubens about $181,000. In a statement, VA Deputy Secretary Sloan Gibson called the punishment an appropriate final response. "After my review of that evidence, I believe that, within the scope and intent of the law, additional accountability actions were warranted," he said. "We have already reinstated Diana Rubens and Kim Graves to their positions as regional office directors and I have been encouraged by their immediate effort to get back to work. Ultimately, that is what these decisions are about: getting back to the work of serving America's veterans." Gibson in the past has said he is confident both women can work effectively in their director roles despite the ongoing public criticism of their moves, and he expressed confidence that Pummill can continue working in his leadership role even after facing punishment for supervisory failures in the past incidents. 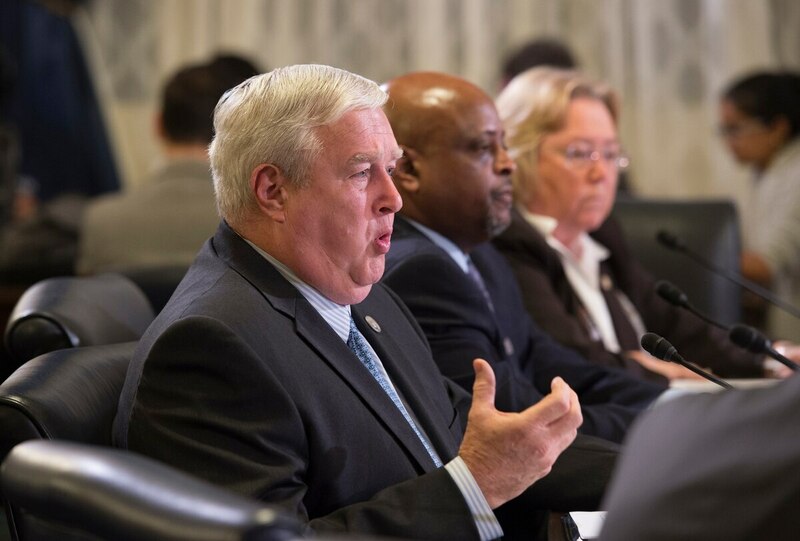 The relocation scandal was one of several for the department that prompted lawmakers to review VA hiring and firing rules for senior executives, a reform that McDonald has also petitioned lawmakers to tackle. New legislation is expected from senators in April.